Best Fielders in The Cricket History:- Fielding is an important part of every cricket game because it helps in winning matches in an easy way. It is a known fact that only an energetic team can keep the ground alert and save minute runs from time to time. As most of the teams focus on improving the strategy, it is necessary to have quick fields to implement successfully. There are some of the great fielders in the history of cricket, who managed to field balls and save runs. Rhodes is considered as the best field in the world because of his talents to fly without worrying about injuries. 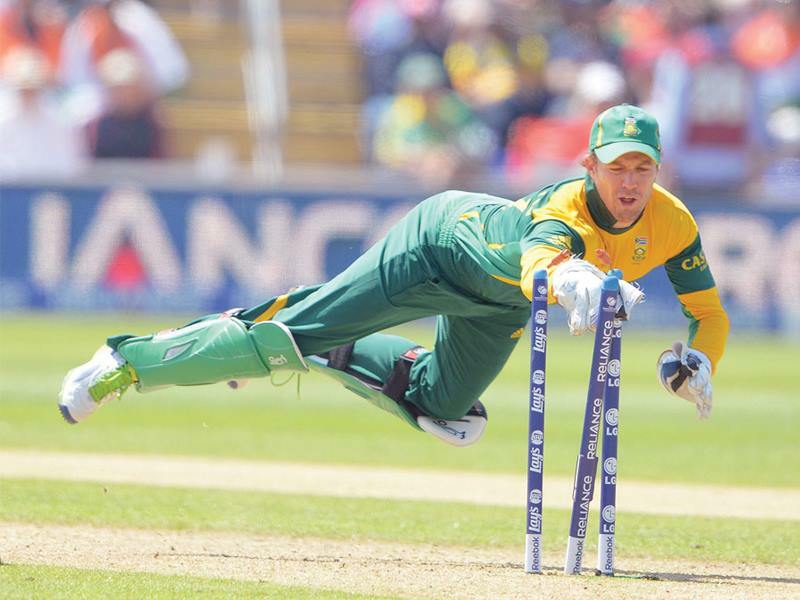 The great South African is known to have taken a lot of nearly impossible catches, which makes the best fielder. The way he moves to take the ball allows him to enjoy the comfort of catching the ball in an easy way. Those were the days when every player in the team puts minimal effort to catch the ball. 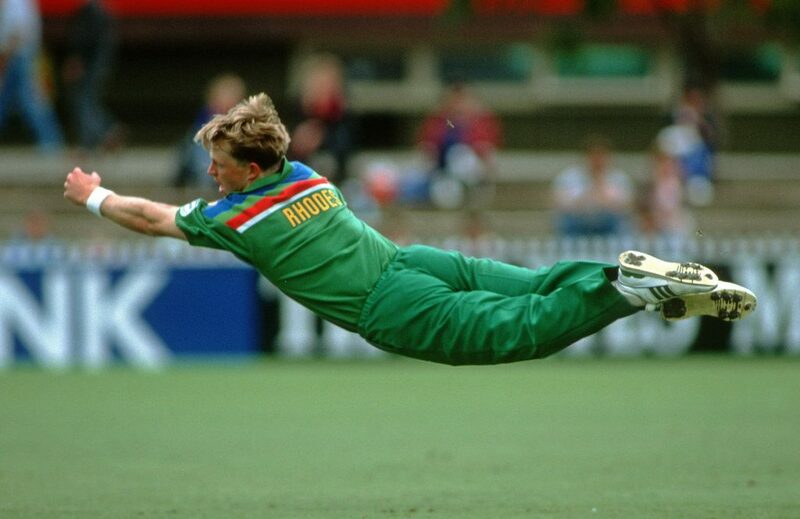 Jonty Rhodes set the standard of fielding the ball by putting extra efforts based on the situation. Suresh Raina is considered in the number 2 position because of his exceptional catching skills. It is a known fact that Raina has never missed the ball because of vague excuses. Raina is one of the first set of Indian Players, who gave everything while both batting and fielding. Dhoni took full advantage of Suresh Raina, which helped him to strike pressure to the batsman in an easy way. A consecutive run saves in a game chokes the opponent, which lets him commit mistakes from time to time. As Raina was consistent in his fielding placements, it is evident that batsmen think twice to take an extra run. This helped him establish as a quality fielder, who controls the area around him to save runs effectively. Jadeja is a wonderful pick for every team because of his all-around performance on a regular basis. Most of the captains prefer having him in the shorter distances because he has the ability to choke the batsman with the help of quick throws. Ravindra Jadeja plays for CSK or Chennai Super Kings in IPL and is performing best to his abilities by showing performance in all the departments. 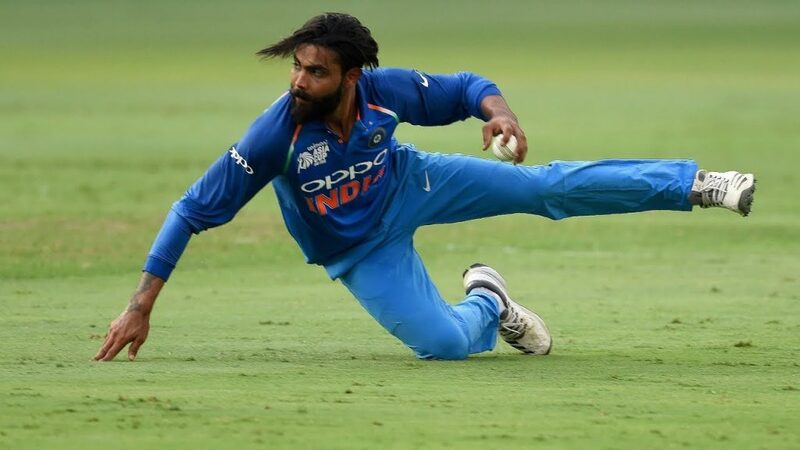 As the player set his standard in fielding capabilities, it is evident that the player can be placed in all the positions and enjoy his versatile. Kieron Pollard is one of the best fielders, who can run quickly and throw the ball in a perfect way. It is necessary for every fielder to have flexibility because it plays a vital role to field a fast going ball. Most of the players fielding near the boundary line require to have the ability to run faster because a microsecond saves you a couple of runs in an easy way. There are some of the exceptional boundary lines catches taken by Kieron Pollard, which looks possible only for the player because of his height benefits. As the player is tall enough, he can be used to save a massive six and if he or the team is fortunate, they get the wicket as well. The great Australian player and the former captain has a huge number of followers because of batting and fielding capabilities. Smith has a good record in IPL, where he took a couple of crucial catches to save from destruction. Smith entered the team with a huge amount of hope because he has an impressive record in BBL or BBL. It is a known fact that Steve Smith is highly energetic, which makes it easier as a fielder to perform. 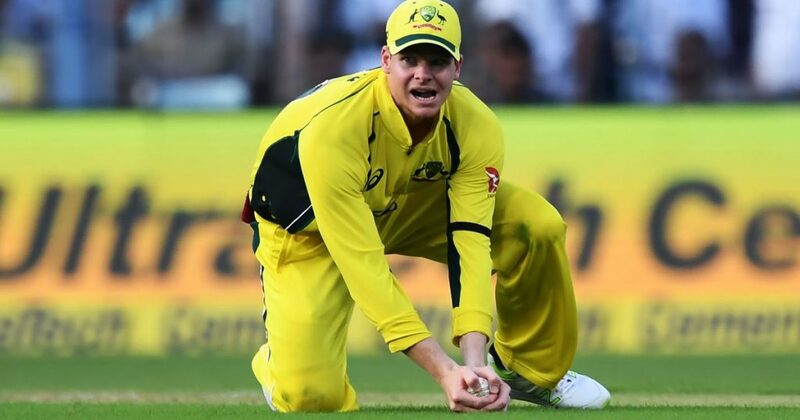 The Australian player takes crucial slip catches and saves a lot of runs in different places from time to time. 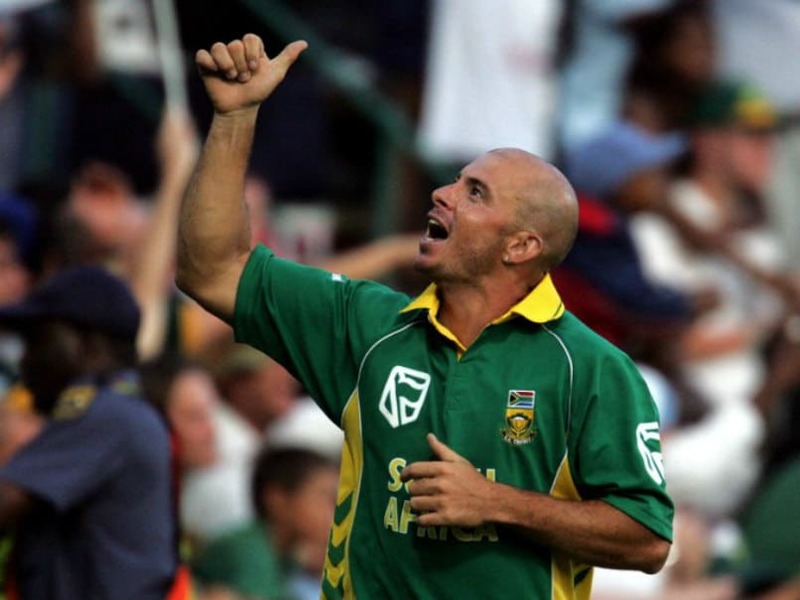 Herschelle Gibbs is a former South African Player, who has a set a standard in both fielding and batting departments. Gibbs was a powerful striker, who enjoyed a lot of strikes all through his career. It is evident that the player is one of the best players because he has taken a record number of catches. The South African player had a reputation of a quick runner, which gave him a name to carry himself. A proficient fielder, who is known to offer excellent performance while batting and fielding from time to time. AB De Villiers is a top class player, who is showing a lot of consistency despite aging up. The experienced player has gained a lot of reputation because of his flexibility while batting, fielding and keeping. The versatile player plays his best on the field, which helps him perform in an effective way. It is a known fact that AB De Villiers is flexible enough to turn around and hit the ball while batting. The same flexibility helps him to field the ball more efficiently because he will be having more time while fielding. His techniques and flexibility are helping him a lot to field the ball without compromising on injuries. Most of the Caribbean players are known to have a lot of energy in all the departments of cricket. Dwayne Bravo is one of the best player, who has both experience and skills to perform in an effective way. Bravo has been consistent in all the departments, which makes as a complete cricket player. The player has taken some of the boundary high catches, which gives makes him as one of the best fielders. The Caribbean player is one of the top picks in premier leagues played in different countries because he can be used for different purposes without compromising on the quality. The Indian Captain has a list of records in both batting and fielding departments. He has been an impressive fielder ever since he debuted as a player to the Indian national team. Virat is one of the best fielders in the world because he has the ability to field the ball and throw in a quick span of time. A couple of exceptional fielding chokes the batsman because he would not risk taking a run when the ball is going towards the fielder. Kohli has set the standard of fielding and leads from the front to motivate other players on the field. Some of his bullet throws are impressively captured, where the batsman has less room to make it to the crease before the ball arrives. Shoaib Malik is the only Pakistan player, who has made it to the list of best fielders in the world. Malik has great sportsmanship, where he plays for a long span of time without getting tired. The aggressive fielding in the shorter circle helps the team to save vital runs on a regular basis. Malik is known to take no excuses while fielding, which makes a great player for the country and the team. It is evident that every quality fielder plays a crucial role in the fielding side and the bowler because it motivates others to display their potential to win the game. Fielding is one of the primary departments, which needs to be in a good position in order to win matches. There are some of the exceptional fielders, who helps their team to save a maximum number of runs easily. As there will be a minimal number of saves by fielding, it is evident that they can have a huge impact on the overall result of the game. A consistent set of stops by fielders choke the batsmen, which could help bowlers to take advantage of the situation. It is important to have a good set of fielders in both shorter distances and near boundary lines because it helps the team to save runs and gain wickets at the same time.